The world of e-commerce tirelessly works towards the chief objective to do more sale and earn larger profits. The objective thrives in an arena where even customers look for better options. The need is to make the ends meet. When Cross-selling and up-selling techniques(delicate tools) are used properly, they delight both customers and businesses is a fantastic way. In a survey carried out by Internet Retailer, about 35% of sales is generated by Amazon through cross-sales. Up selling is a sales technique through which a vendor persuades the customer to purchase more expensive items and other add-ons in an attempt to make a more sale. Often, shops show certain options that are necessary and expensive, but very similar to the main product. For instance, if you are selling a cell phone, up selling will be offering the same cell phone with a metal body, or with additional configurations. 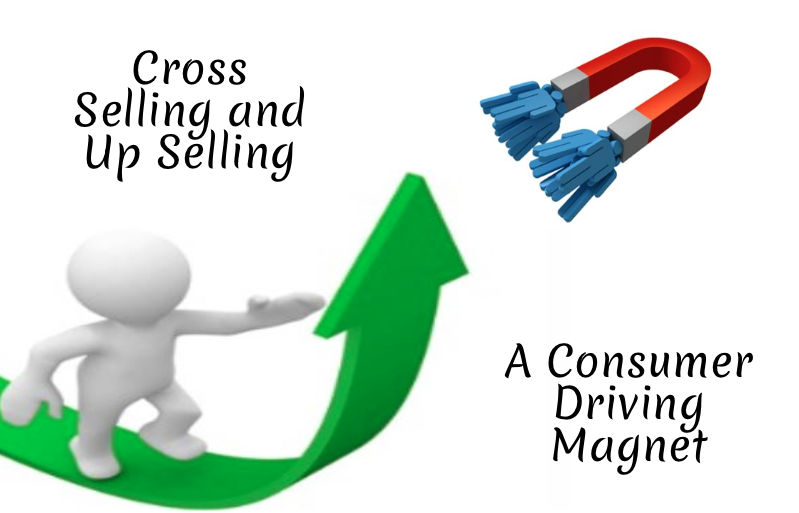 Cross selling is the practice of selling an additional product to an existing customer. For instance, if you are selling a cell phone, you can offer a cell phone cover and some free apps. Cross selling and up-selling works in a great way for the existing customers. However, it advances benefits with the fresh visitors. The technique show more items of varied types (out-sellers, items with best review, best sellers) to the customers. Presenting more options with suggestions (reviews and most sold product) which creates a good impression in-front of the customer. Resulting in the rise in customer satisfaction and builds stronger trust. Apparently, the rise from the total regular orders will be seen. And therefore, boosting the conversion rate of the online store. Cross selling and up selling works well everywhere. You can use it before purchase along the product/category page, right below the main product or in the sidebars and sometimes both the ways. During the purchase it can be used in the shopping carts and checkout and abandonment emails. However, after purchase you can follow your customers with the follow-up mails. Don’t overload your range with options: Too many options creates confusion for your customers. Be smart while picking related products, choose relevant and less. If you are still thinking to show a number of items, display it with carousel. The key tool is to be RELEVANT: Showing radically different items is not a good practice in up sell. This can also refer to different brands. For instance, you are showing an iPhone to a user who’s looking through a low budget Android phone, is a wrong tactic. Similarly, products with a different set of features and completely different prices are not an appropriate up sell. Always, remember that both the products should satisfy a customer’s need. Don’t stick to Fixed Prices: Product cost along with coupon codes and discounts, shipping, customer reviews, branding are the important factors which influence customers decision making process. So, if your up selling suggest an item that satisfies one’s needs, the chances of customer’s hesitance with the higher price will decrease. Value proportion: If you want your customers to select another variant, assure that you have a value proportion for it. Always answer these first Why will customer spend more money on it? What will he receive from it? Check how it looks on mobile: View how your cross-sells and up sells look on a tablet and mobile. Not to ignore that majority of our consumers shop from mobile phones. So, keep a check on the reality, it might be looking quite promising on the desktop screen, but very different on your mobile screen. Keep it short and personalize the headings: If you are looking forward to put a suggestion on checkout, don’t add a new step to the process of checkout. In place of it, try using checkboxes and radio buttons instead. Also give a personalized touch to the heading, as it stimulates customers interest.